Fresh from the Alienware laboratory, the m9750 looks good to set a new milestone in the land of notebook performance as the flagship model in the Alienware range. Several reviews ago, you will have seen my coverage of the Area 51 7500 and I concluded that it was a machine like none other I had seen before. So I wondered how much of that performance they could pack in to a portable system. The obvious answer to increasing performance in the desktop field is to put more of everything in the box. More chips tends to equal more performance but when you’re looking at a notebook, you’ve got to somehow cram that performance in to just a fraction of the available space as well as take in to consideration the power demands. So when you hear that the m9750 has got two NVIDIA graphics cards shoehorned in to it along with a RAID storage system you start to wonder how there was any room for an appropriately sized battery, not to mention the rest of the components. One of the most surprising things you will discover about the m9750 is how lightweight the whole system feels, even though it’s a 17-inch system packing two graphics cards and two hard drives, it weighs less than 4 kg. 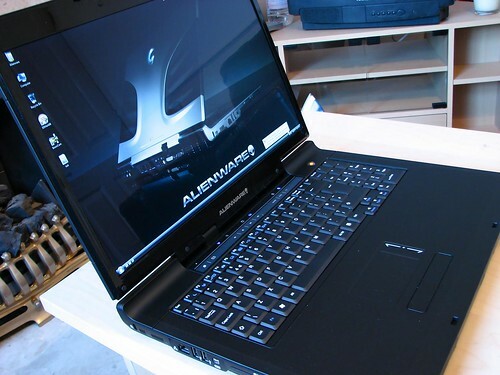 With the m9750, Alienware engineers have been forced to answer a tough question: in order to build the fastest notebook on the planet using desktop-style architecture, how can it be made light and small enough to remain a notebook? The answer lies with the magnesium alloy chassis that allows the heat to dissipate yet is strong enough to resist any flex or bending. Liquid rubber has been used to coat the entire exterior of the chassis so you don’t have to worry about surface scratches, however it will be a challenge to keep the thing clean because dust sticks to it worse than it does on piano black but unlike piano black it doesn’t show finger prints, or more importantly, marks from your sweaty hands as you reach the final stages of Bioshock. There is an element of aggressiveness in the m9750 design, like it’s really angry at the world or something. 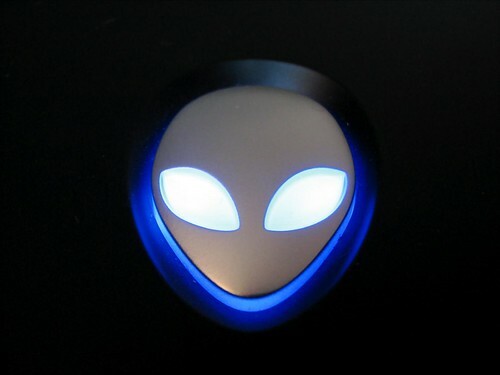 The blue glow from the Alienware logo and the fierce grooves that mirror the desktop Alienware models all reflect the approach that the designers have taken. This is no pearlescent kitchen appliance designed to sit pretty on the shelves. 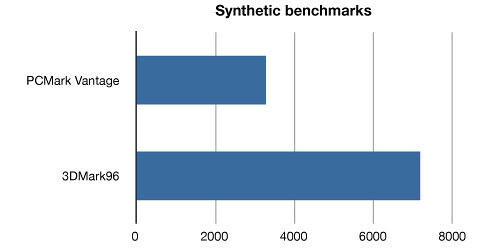 Synthetic benchmarks showed that in the PCMark Vantage benchmark reaching a score of 3289. 3DMark 06, the worlds most well known 3D performance benchmarking application, allowed the m9750 to reach an impressive score of 7180. This compares well with the desktop system that I benchmarked a few months ago which featured SLI 8800GTX, managing 13439 in 3DMark 06. Whilst the m9750 I had to test was featuring the 7950GTX in SLI configuration, this meant that graphics quality and features would only reach DirectX 9. 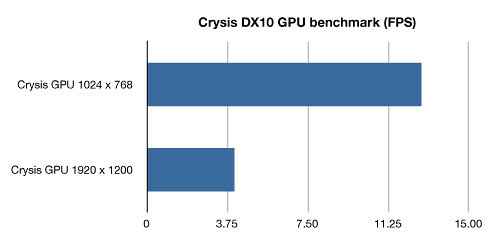 My tests with Crysis showed less than desirable results and if you’re planning on playing this game at a decent frame rate, you’re going to want to fork out extra for the 8700M GT in SLI configuration (an extra £266 from the standard default configuration of a single 8700M GT). 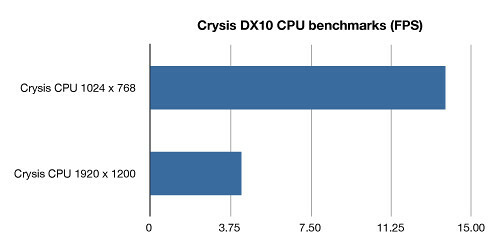 Results for the m9750 further proves just how much processing power is required to run Crysis, a ridiculous amount that outreaches all but the most powerful and even then, overclocked machines. So although the m9750 scores poorly in Crysis this just follows every other system that you try to play it on with any level of quality. Games such as Bioshock and Half Life 2 worked great with the SLI configuration achieving acceptable frame rates at the native resolution of 1920 x 1200 and high frame rates at 1680 x 1050, overall providing an enjoyable experience. With an emphasis on gaming and entertainment, the m9750 is packed with a plethora of connections from the TV tuner, built in web-cam and S-Video-in to the wireless Media Centre remote. You will even find a DVI, VGA ports for external display support. This is perfect for jacking in to the high definition televisions you bought last Christmas. To complete the entertainment experience, an optical audio connection can be found next to the surround sound ports, which would leave any audiophile plenty of options to work with. Above the keyboard you will find touch sensitive buttons providing access to your media playback controls. 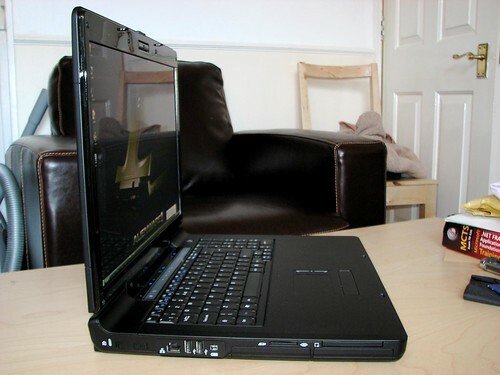 The trackpad features a window scroll pad for quick up and down scrolling in the active window. Forget all that you think you know about performance in a portable machine. The m9750 is all about aggression on the outside and raw performance under the hood. It’s an engineering achievement that is worthy of its title as the king of portable performance computing. 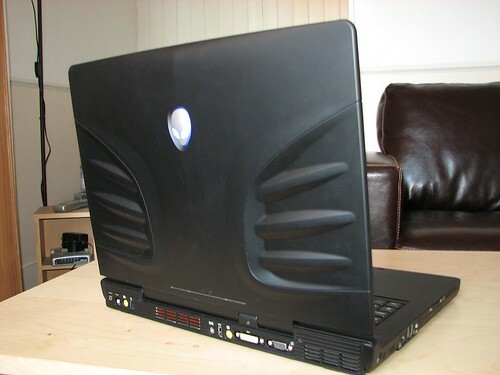 The latest configuration options at the Alienware online store allow you to kit this machine out with two DirectX 10 cards, but be aware, you will need to figure out how to grow money on trees first. 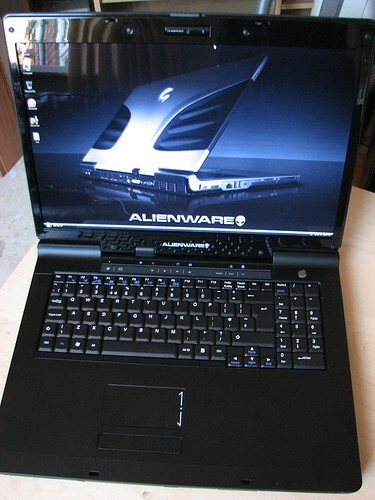 True to its name still, Alienware have come up with a package that has lightness and delicacy that you don’t get in other performance notebooks. And they give you a sense that all will be well, no matter how hard you push the machine. It’s not going to be for everyone’s taste nor is it going to be in many people’s price brackets but the m9750 represents the best in a portable powerhouse.